A Quilt Idea from Holland? All the Linus quilts produced by the Welsh Heritage Quilters were on display and looked wonderful, as did the charity quilt organised and generously put together by Angela Morris. There is still time to contribute – contact quilts@quilt.org.uk – £1 buys your signature embroidered for posterity. All proceeds will go to the Welsh Air Ambulance. You can see the completed quilt in 2014 at the WHQ biennial exhibition. 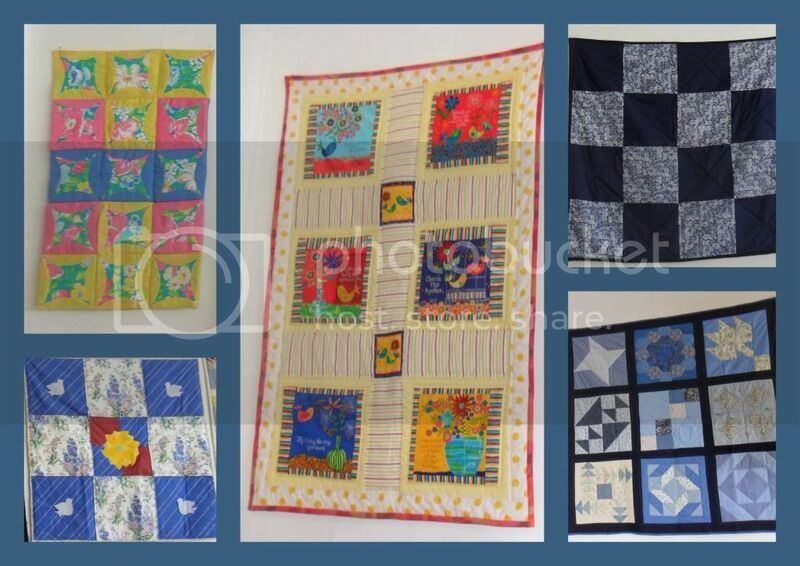 There will definitely be pics then…..
Edited to add just a few of the many Linus quilts that WHQ members have made. Another mini project while snowed in? .She has a free mini workshop available for a short time – click on Freebies – and it uses some different materials and techniques. I am glad to see that someone else love Stickles as much as I do! Snow is so beautiful and can be lots of fun – but after a week or so the novelty wears off – especially in the hills of deepest Mid Wales, where it really does lie ‘deep and crisp and even’. Lots of our trustees are getting cabin fever!! As long as you have warmth, and food for yourselves and your animals, (and plenty of loo paper! ), you might as well make the best of it. Why not do some snow dyeing? I won’t re-invent the wheel by posting anything other than the briefest tutorial – there are lots already out there in Interwebworld. When it works, the dyeing process is slowed down and if you are lucky, the pigments ‘split’ and you get some lovely and unexpected results. Here is a beautiful sample from Beth Brandkamp’s blog – and she is generous with her instructions. Use some PFD fabric (that’s prepared-for-dyeing) – you can buy it ready done, but if you have some washing soda, make a strong solution and soak clean fabric for half an hour or more. 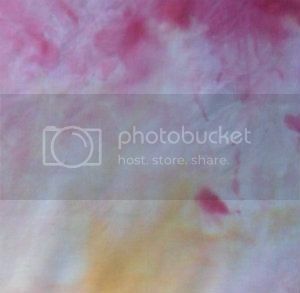 Scrunch it, or fold it and lay it in a container in a way that lets the melt liquid drain away – I use a small Tupperware upside down as a shelf in a large Tupperware and I sit that on more fabric that will dye in a different way. Use fibre reactive dye such as Procion MX. Now leave it somewhere where it will slowly thaw. Once the snow has melted, the fabric will need to cure for a day. but seeing Beth’s I am having another go – let’s face it, for the next day or so I am not going anywhere! Isn’t this the perfect place to sit and plan your next quilt!